Today is the last day of school until Monday 13 April. Have a safe and fun-filled Holiday! We look forward to seeing everyone re-charged and ready for Term 3 on Monday morning. Parents and students will receive a notification email on Tuesday 7 April when Term 2 reports will be available in ManageBac. The reports will include achievement levels in each subject and a student and advisor reflection. At the same time, parents will receive the results of the International Schools Assessment (ISA) tests that Halcyon students took in October. Who is wearing their PJs or Onsie for charity today? Bring in a £1 for the charity Kid's Company. Please see Alexia and Christina to donate! Thank you for welcoming Phoebe! Thank you Grade 8 for making Phoebe feel so welcome yesterday! Please visit the lost and found in reception before the spring break as we have quiet a collection down here! Any items left by the end of the academic year will be donated to charity. 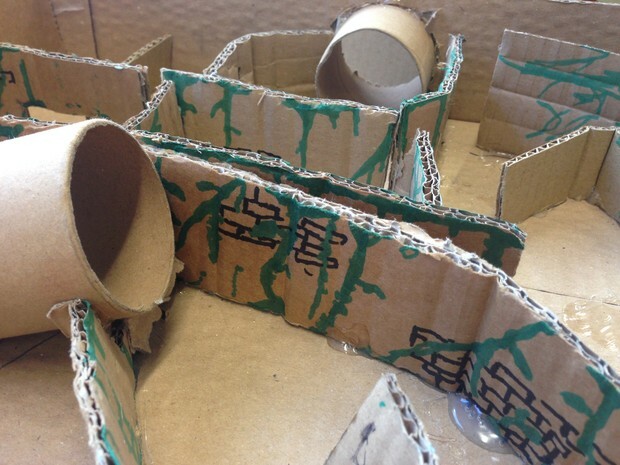 Grade 8 have been working hard to build cardboard arcade games inspired by the documentary Caine's Arcade. 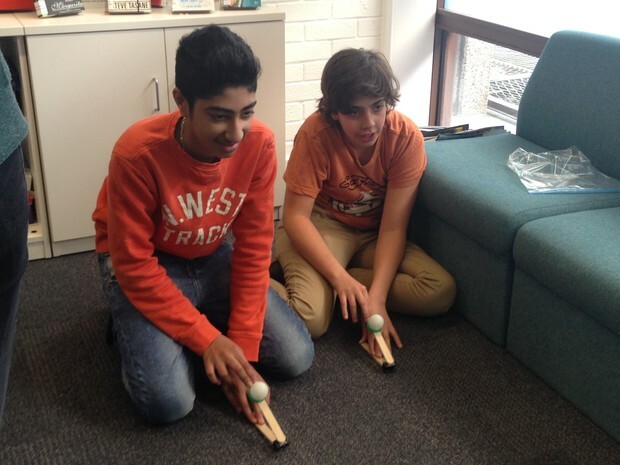 Please come to The Hub at lunch time to test out Grade 8's Cardboard Arcade Games!